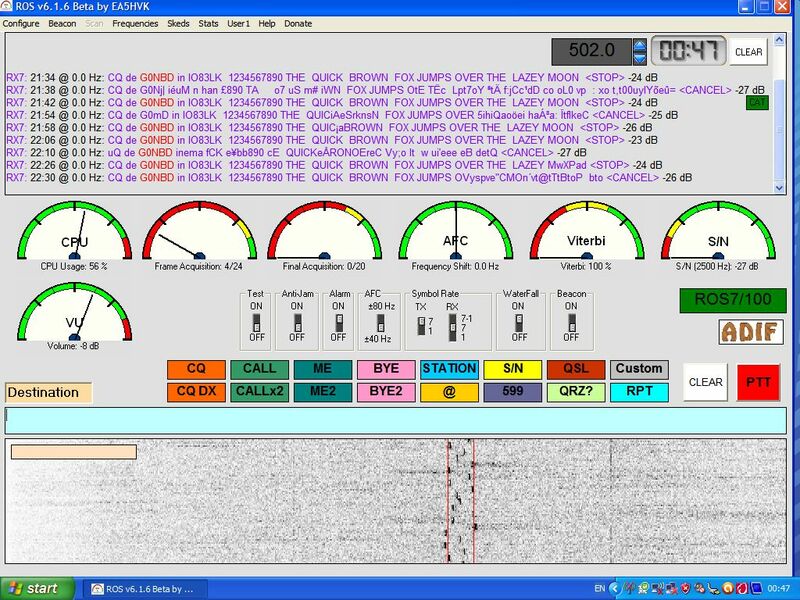 MF History in the making , (again) at 21:34 gmt 13/2/11 Joe VO1NA decoded a full beacon decode from G0NBD , on frequency 502 KHz. Not only was this the first ‘LIVE RTTY’ decoded over the Atlantic but at 2134 hours, was a quite unexpected event so early in the night , s/n ranged from -23 to -27 dB giving 100% decode from a ERP of 1 watt . ROS MF demonstrating good ability to resolve signals with deep and rapid qsb , over 3500 kms path. This entry was posted on 14 February, 2011 at 22:39 and is filed under Uncategorized. You can follow any responses to this entry through the RSS 2.0 feed. You can leave a response, or trackback from your own site. Well done indeed to Graham G0NBD— another 1st. 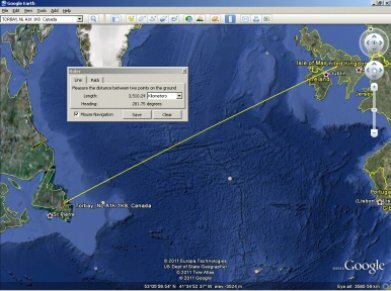 to Newfoundland also on 502khz 1watt ERP in a crossband CW qso with joe VO1NA.